The rise of the internet has taken many activities that once required a physical presence into the realm of the digital. It has also opened up activities that were once the province of a knowledgeable and well-placed few, by removing barriers of access and distance. Auction sales are one of these activities, and as a result they’ve become a popular way to shop online, with a plethora of sites devoted to just about any kind of consumer goods you can think of. Bidding on items, rather than simply purchasing them at retail prices, can give you the opportunity to score big savings. Online auctions come in different forms, however, and it’s helpful to know what to expect when you start looking around. 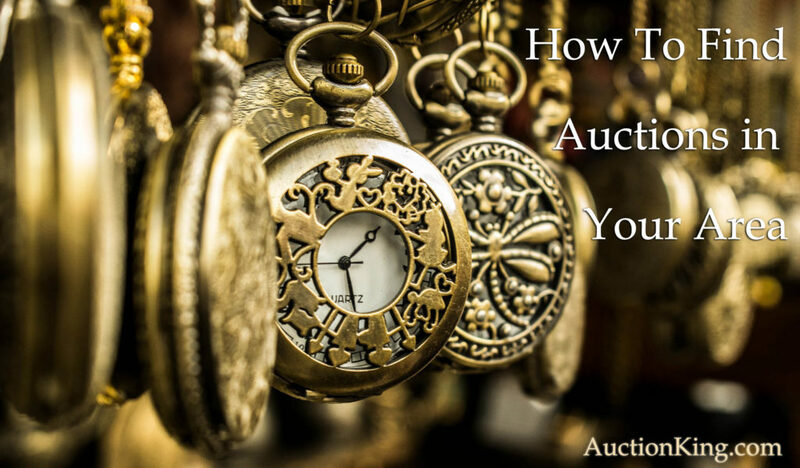 Timed auctions: This is the form of online auction that we’re all most familiar with. Exemplified by sites like eBay, the timed auction runs for a specified period of time, most often a week. This doesn’t mean that prospective buyers are actively bidding during that entire time period. On the contrary, timed auctions tend to attract bidders who either bid high early, attempting to scare off other bidders, or those who wait until the final moments of the sale, hoping to land the item at the lowest possible price. These tend to be fully automated, with no human interaction between the bidding site and the bidders. 90-second auctions: This format adds a twist to the concept of the timed auction, by making the bidding window lightning-quick. Such auction sites tend to move a large quantity of goods at low prices—each high bid extends the bidding window for a few seconds, but once the time ticks down, the highest bid wins. Fans of these quick auctions tend to like them as much for the entertainment value as for the shopping experience, because you get instant gratification. Some sites that offer such auctions are what’s known as “penny auctions,” because they charge bidders a small fee for each bid they place, while others offer unlimited free bidding. Online live auctions: In a traditional live auction, bidding lasts as long as people are actively placing bids on the item in question. Once the auctioneer has determined the highest possible bid has been reached, the lot is closed. This is also true in a live online auction, which combines the format of a live auction with the accessibility of an online auction. While lots tend to be listed online ahead of the auction for bidders to view, ask questions about, or place proxy bids on in advance, active bidding takes place at a set time, with a skilled auctioneer monitoring the action. This format combines the best features of live and online auctions—you get the thrill of bidding in real time, without having to wait around for days to find out if you have the winning bid, but you have the convenience of bidding from your own home. Understanding the format of the auction you’re participating in will help you know how long you can expect to wait to find out if you have a winning bid. If you crave the excitement of a genuine live auction, AuctionKing.com is dedicated to providing the most authentic live-auction experience available online. Our site is built on the knowledge of three generations of auctioneers, combining scrupulously authenticated goods, the most up-to-date technology, and a secure bidding process. Register for a free online account today to experience the Auction King difference. Many categories of collectibles inspire passion in their loyal fans: porcelain, coins, movie memorabilia, sports memorabilia, comic books, and more. It seems that no matter what your area of interest, somebody will be gathering up rare or interesting examples of that subject. Some of these unusual items set jaw-dropping records when they go up for sale. While the prices that ultra-rare collectibles command are beyond the reach of most of us, it’s fascinating to look at some record-breakers. As one of the rarest baseball cards in existence, this Honus Wagner card broke the record for the most valuable baseball card set in 2007 ($2.8 million)…by another Honus Wagner card. Although baseball cards are one of the most well-known category of sports memorabilia, it’s not unusual for rare items in a variety of sports to go for staggering prices at auction. This movie poster broke the world record for most expensive ever sold when it was put on the block by Heritage Auctions in 2017. It is one of only two surviving examples of the poster from the movie starring Bela Lugosi. This 1938 comic book, created by Jerry Siegel and Joe Shuster, featured the first comic book appearance by Superman. It is widely credited for starting the Golden Age of superhero comic books, and originally sold for only a dime. This small, shallow 900-year-old dish from the Northern Song Dynasty set a record for Chinese porcelain when it was auctioned by Sotheby’s in Hong Kong. The blue-green glaze and “ice-crackle” pattern featured in this dish are extremely rare, having been produced for only two decades. The anonymous bidder who claimed this onyx and diamond bracelet once owned by Wallis Simpson claimed a priceless piece of history from one of the most shocking events to impact the British monarchy in the 20th century. The American divorcee’s affair with King Edward VIII led to his abdication from the throne in 1936. This rug, which was once part of the Williams Andrew Clark estate, blew past pre-auction estimates when it went up for auction. It holds the honor of being the most expensive rug ever sold at auction, which it owed in part to its unusual combination of rarity and superior condition. While some collectors can afford to spend whatever the market demands, most of us prefer to shop where our budget will go further. 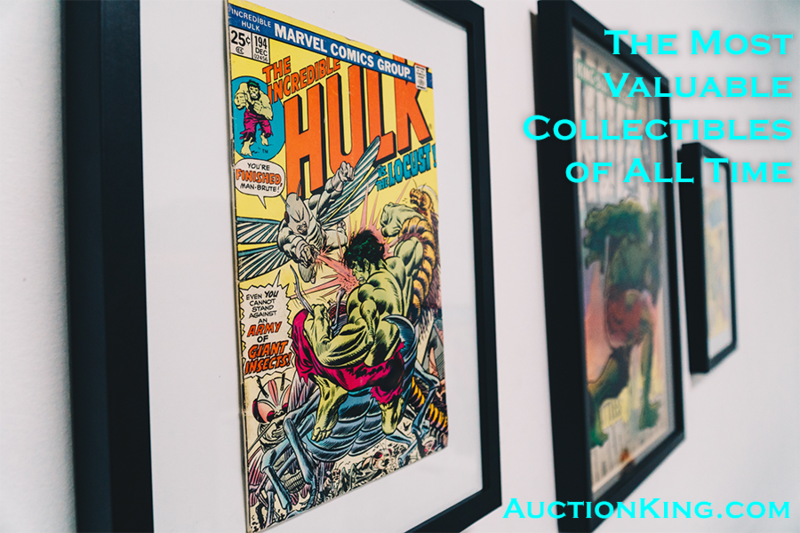 Auction King offers a wide selection of authenticated collectibles at below-market prices on our convenient, secure online auction site. With three generations of experience in the business, we offer the most authentic auction experience available online. Our continually updated selection features unique, antique, and luxurious items. Register for a free online account today and get started. The popularity of online auctions has grown in step with online shopping in general—after all, what could be more convenient than browsing for what you want from the comfort of your own home? In recent years, a new dynamic segment of the online auction market has caught the attention of savvy online shoppers: the 90-second auction. What is it about these fast-paced sites that has earned a devoted following? Speed: Imagine an auction boiled down to those last exciting seconds when all the action really happens. Every item on a 90-second auction site is just like that. You have to move fast to stay on top. Placing a new high bid extends the auction for a few more seconds, but once that clock ticks down, the item is sold! Unlike traditional timed online auction sites where you have to follow an item for days to have a chance to win, 90-second sites give you instant victory. Didn’t get an item you wanted? Don’t worry—there’ll be a chance on something else instantly. Convenience: Some of the most popular 90-second-auction sites can be accessed through mobile apps, which means you can participate from wherever you are. You’ll never miss out on your opportunity to bid when you can literally put the auction in your pocket and take it with you. Discovery: The brisk pace of 90-second auctions means that there is constantly something new coming up for bid. Whether you’re looking for jewelry, collectibles, art, or more, the inventory on a 90-second auction site is always changing, offering you something fresh to consider on a daily basis. It’s fun just to dip in to see what’s on offer, and you never know—you may unexpectedly find that have-to-have item when you least expect it. Bargains! : You won’t believe the deals you can get at a 90-second auction. With prices starting at just $1 and a lightning-fast bidding window, items up for bid routinely go at just a fraction of their retail price. Unlike some penny auction sites that charge a fee per bid, 90-second auction sites are free to bid on—you only pay if you win. This makes these auction sites the perfect place to hunt for unbelievable bargains and snap them up. 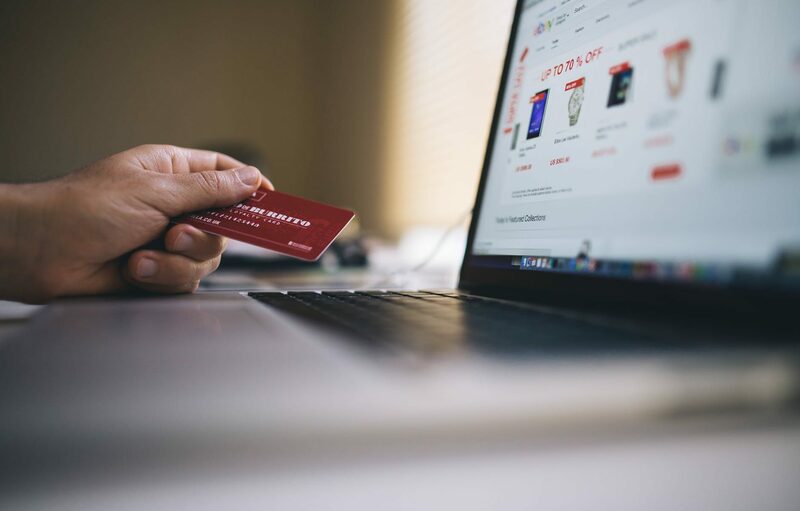 Although you may pay shipping costs or other fees (each site varies), you still usually end up with a price well below retail on all kinds of items. Technology isn’t just making the auction experience more accessible for the modern age, it is also bringing new twists to the traditional ways we bid and win. If you’re the kind of buyer who loves the adrenaline rush of fast-paced bidding and who can’t resist the opportunity to get a steal of a deal, 90-second-auctions are worth checking out. First, do your research. Jumping into an auction blindly may result in you underbidding and losing out or overbidding and regretting it later. Check out the items you’re interested in, compare them to similar items elsewhere to get a sense of their market value, and ask any questions you have before you place a bid. Know if the item you’re interested in is rare or unique, which could make it worth bidding more for. Then set your budget. Decide how much you are willing to spend overall or on any particular item. This will give you a framework for your bidding so you can proceed without second-guessing yourself. Auctions sometimes come down to the timing of your bid, so hesitation can spell the difference between losing and winning. Understand that certain tactics work best in different situations. One of the most well-known bidding techniques is called “sniping.” This is the strategy of waiting until the last possible second to place your bid to try to win an auction. In a timed online auction with a hard end time, this can effectively shut out other interested bidders. In a live auction, whether in person or online, where bidding goes as long anyone is still placing bids, sniping can still have benefits, however. Active bidding can drive up the price of a hotly contested item, so sitting out until the auction is almost finished may cool off the bidding and ultimately result in a lower end price. Another popular bidding technique is known as “squatting.” This is where you bid early on your chosen item and counter every subsequent bid in order to stake your claim. Obvious interest can have the effect of driving off casual bidders who are more interested in getting a bargain than in obtaining the particular item in question. To make this technique more effective, you should bid more than the minimum each time, to show other bidders that you are serious about winning. Be careful, however—in the case of one-of-a-kind items, squatting can be less effective because there is no alternative for other bidders to seek out. Ultimately, your personality and goals will define your successful bidding style. At AuctionKing.com, our live online auction gives our customers thrilling opportunities to win high-end collectibles, fine jewelry, designer handbags, and more at below-market prices every day. We triple-check the authenticity of every item on our site so you can bid with confidence. Register for a free online account today to get started. Live auction: This is the classic auction scenario—an auctioneer shouting out the current bid while audience members compete for a coveted lot. When you want your auction to be the centerpiece of an event like a gala, and you have high-end items like tropical vacations to auction off, a live auction is a good bet to get the maximum value for the items you have on offer. With a live auctioneer driving the excitement, bidders are more likely to bid at or above an item’s value in the name of supporting your cause. Silent auction: A silent auction is a great idea when you don’t want the auction to occupy center stage at your event. Bidding is open for a set period of time, with bidders writing their name down on a piece of paper with their bid for each item. Donors who aren’t comfortable getting into the thick of live bidding tend to prefer this format, and it’s ideal when you’d like something quieter that guests can participate in at their discretion. It’s easy to browse a silent auction during a cocktail hour, for example. This format is also good for raising interest in items that benefit from a closer look. Online auction: Online auctions are the best option if you’d like to hold an auction without having to plan a huge event. If your supporters are spread out all over the country or the globe, conducting an auction online can be a way of bringing them together virtually to benefit your cause. In addition, you don’t have to charge admission to cover the overhead for an event, and your donors don’t have to buy fancy clothes or pay a babysitter to be able to attend, which gives them more money to spend at your auction. Auction King can help you combine the best aspects of live and online auctions to net the greatest benefit for your organization. We supply expert auctioneers to run your live online event and the high-end items necessary to attract the most generous bids—you just direct your members to the dedicated URL we set up so they can participate. Our expertise and secure live-bidding platform guarantee a superior experience for your supporters. To find out more about how we can support your mission with a live online charity auction, contact us today. The Codex Leicester: Leonardo da Vinci was not only famous as an artist, but as a thinker whose ideas in many fields were well ahead of his time. He wrote his notebooks in a mirror cursive script, which this manuscript features. It was sold to Bill Gates in 1994 for the whopping price of $30.8 million. “Pink Star” diamond: The largest fancy pink diamond ever graded by the Gemological Institute of America, this 59.6 carat stone sold at auction for $71.2 million at a Sotheby’s auction in Hong Kong in 2017, exceeding the previous record for the most expensive diamond sold at auction. Balloon Dog, Orange: This sculpture by Jeff Koons is one of a series whose counterparts are owned by a veritable who’s who of the elite. When this one sold for $58.4 million in the 1990s, it set the world record for a work by a living artist. The Clark-Sickle Leaf carpet: This seventeenth-century Persian rug sold at auction for $33.7 million in 2013 to an anonymous buyer. Once the property of industrialist William Clark, the carpet was auctioned off by the Corcoran Gallery of Art to raise funds for future acquisitions. L’Homme Qui Marche I: This 1961 sculpture by Alberto Giacometti of a walking man, which stands six feet tall, sold for $104.3 million, making it the most expensive sculpture ever auctioned. The Scream: One of the most easily recognizable works of modern art, this version of Edvard Munch’s famous painting sold for $119.9 million. Of the four versions of the work that the artist created, this is the only one that is privately owned. Salvator Mundi: This Leonardo da Vinci painting, once thought to have been destroyed but rediscovered in 2011, sold at auction in 2017 for a mind-blowing $450.3 million, smashing all previous records for the most expensive painting sold at auction. Qianlong Vase: This antique Chinese porcelain vase is believed to date from the 18th century. Once belonging to Chinese royalty, it was taken from the Chinese mainland during the Second Opium War. It sold at auction for $53 million. While the world’s treasures may set records, AuctionKing.com brings fine art, high-end jewelry, and collectibles to our customers at down-to-earth prices. You can shop our authenticated selection with confidence and bid from the comfort of your own home on our secure platform. We bring the excitement and opportunity of a professionally run live auction to you. Register today for a free online account and start bidding! $956,000 – Soccer – Football Association Challenge Cup: The FA Cup is the world’s oldest soccer competition, started in 1871. The trophy auctioned off in 2005, the oldest of the four FA Cups that have ever been made, was given to the winning team from 1896 to 1910. $996,000 – Baseball – Babe Ruth’s 1920 Yankees Contract: While no-one is exactly sure why the Boston Red Sox chose to sell Babe Ruth’s contract to the Yankees in 1920, there is no doubt that the move launched the Yankees to greatness. This contract marked the beginning of an era of success for both Babe Ruth and his new team. $1.1 million – Boxing – Muhammad Ali’s 1965 Floyd Patterson Fight Gloves: Even for those who don’t follow boxing, Muhammad Ali is one of the most recognizable sports figures of all time. These gloves, auctioned on Ali’s seventieth birthday, were from a fight he won against Floyd Patterson by technical knockout in the twelfth round in 1965. $1.4 million – Soccer – Sheffield Football Club Rules, Regulations, and Laws: Auctioned in 2011 to raise money for the club, this pamphlet is believed to be one of the earliest football instruction pamphlets. $1.265 million – Baseball – Babe Ruth 1923 First Yankee Stadium Home Run Bat: Auctioned in 2004, this bat is the most expensive ever sold, according to the Guinness Book of World Records. $1.275 million – Hockey – Paul Henderson 1972 Jersey: Paul Henderson, the Canadian hockey legend, wore this jersey in the 1972 Summit Series between Canada and the USSR. Henderson scored the series-winning goal for the Canadians in the eighth game. $3 million – Baseball – Mark McGwire’s 70th Home Run Ball: In 1988, Mark McGwire smashed the previous home-run record for a single season by nine runs. This ball, driven to deep left field in his seventieth home run of the season, brought a record price at auction. $3.12 million – Baseball – Honus Wagner 1909 Baseball Card: With only 57 in existence, Honus Wagner’s baseball card has sold for staggering prices more than once. The most recent sale of one, in 2016, exceeded the previous record price for one of these cards by over $300,000. $4.3 million – Basketball – James Naismith’s 1891 Rules of Basketball: Unlike many sports whose origins are disputed, basketball is considered the creation of James Naismith, who came up with it as a game to be played indoors during cold northern winter months. This original document laid out thirteen rules that established the basics of the sport. $4.415 million – Baseball – Babe Ruth 1920 Jersey: The most expensive piece of sports memorabilia sold to date is Babe Ruth’s earliest known Yankees jersey, from the 1920 season when he made 158 runs and 54 home runs for his new team. Of course, you don’t have to be a millionaire to own part of the game you love. 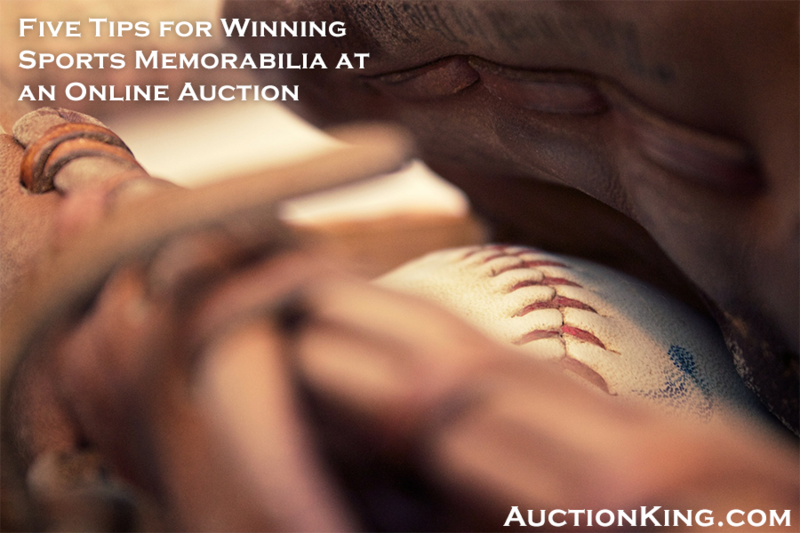 AuctionKing.com offers a constantly updated selection of authenticated sports memorabilia at bids starting as low as $1. Register today for a free online account to get started! Auction houses: Start with an online search of your area and auction houses. This should give you a list of auction companies located in your area and their websites. Upcoming auctions should be listed there. If you know you are in the market for a specific category of items, add that to your search to refine the results. General estate auctions: Estate sales, which may include furniture, jewelry, artwork, and household items of all kinds, take place in communities across the country every day. Many will be advertised in the newspapers and on those papers’ websites, as well as on community websites. Those ads will generally list the auction company’s name, so you can contact the auction company directly to find out when other auctions will be held. There are also a couple of online sites (estatesales.net and estatesales.org) that can help locate estate sales near you. Government auctions: Public agencies hold different kinds of auctions that can be opportunities for the public. Regular agencies may hold auctions to get rid of surplus office equipment or similar items on a periodic basis. Police agencies hold auctions to dispose of confiscated goods. 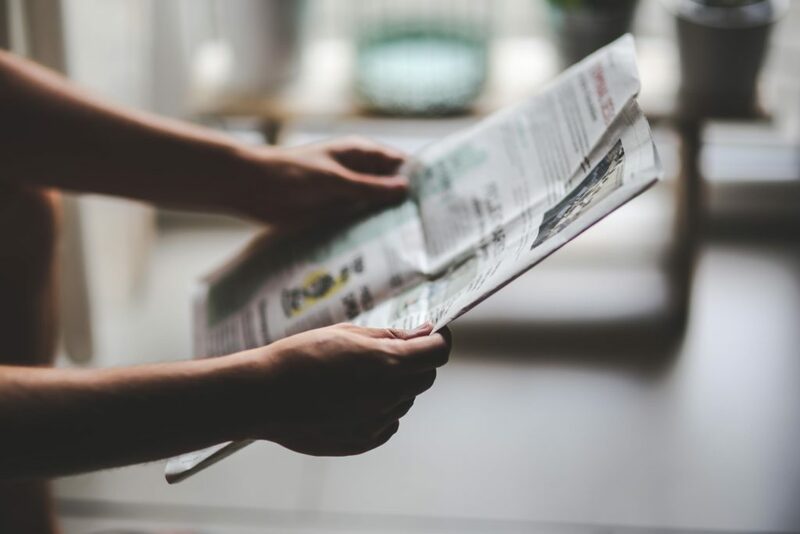 You can find notices for both types of auctions in free weekly newspapers, or in announcements posted in government buildings. Again, you can also look online for listings; one website dedicated to providing information on auctions of this type is governmentauctions.org. 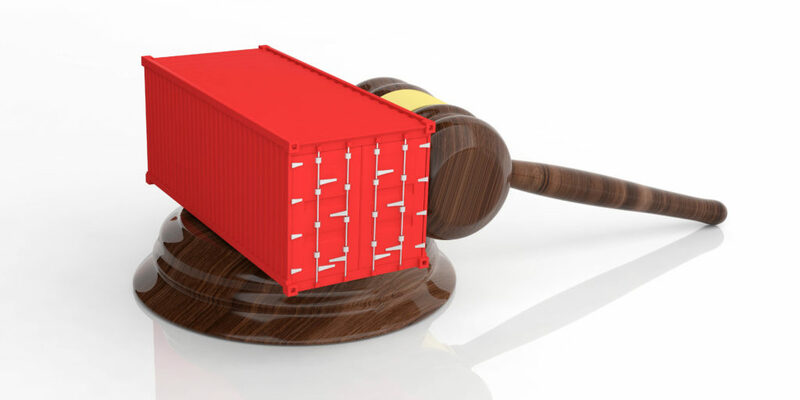 Storage auctions: When the contents of a storage unit are abandoned by their owner, the storage facility will typically hold an auction to get rid of them. These may be advertised locally, or you can call storage facilities to find out when they will be holding their next auction. Keep in mind that you’ll be bidding on the entire contents of a storage unit, and you may only have a few minutes to glance at the lot up for bid to decide how much or even if you want to bid. Of course, your research may reveal why live auctions tend to remain an underutilized resource for most people—lack of convenience. It isn’t always possible to be in the right place at the right time to take advantage of a live, in-person auction. This is why we created AuctionKing.com, to provide a secure site where our customers can participate in auctions conducted by a live, experienced auctioneer from wherever they happen to be. We bring the auction experience to you so you never have to miss out on a great find. Sign up for a free online account today and start bidding! The holidays should be a time of joy, but they can also be a time of stress. Getting the perfect gift for the ones you love can seem like an impossible quest. We all have that one man in our life—father, husband, brother, son—who’s impossible to buy for. They may have everything they need and most of what they want. Worse yet, they probably shrug and say, “You don’t have to get me anything,” when you ask them for a wish list. If this sounds familiar, don’t despair. Here are some ideas for gifts you’ll love giving and they’ll love getting. Luxury items: Even if he has everything, chances are he would enjoy having a nicer replacement for something he already owns. If he’s still rocking the Timex he bought when he was fresh out of school and couldn’t afford anything better, surprise him with a Breitling or a Rolex. (Again, there are great deals to be had at auction, so shop there first.) Or take him out for a fitting to have some custom-tailored shirts made to wear to the office. These kinds of gifts tell him how much you think he deserves the finer things in life. Relaxation: For the highly stressed man in your life, whether he’s an executive or a student, a gift that encourages him to slow down and take care of himself (even if only briefly!) is a great option. A gift certificate for a massage or a facial at your favorite local spa, or to have a professional shave or beard trim, is just the nudge he needs to indulge. Pair one of these gifts with shave balm, a quality razor, aromatherapy lotions, or other related items to help extend the experience and give him something fun to unwrap. Experiences: Maybe it’s that new restaurant that opened up downtown. Maybe it’s that race driving course he saw an ad for. Maybe it’s that cruise or camping trip you’ve been talking about taking, or the paintball outing he’s wanted to put together with his buddies. If he doesn’t need more stuff, then arranging for him to do something he’s always wanted to try, or that he hasn’t made the time for lately, is the perfect gift to bring a smile to his face. The bottom line is that it really is the thought behind the gift that counts, no matter your budget. Knowing you took the time to consider what he enjoys will make whatever you get him extra special.